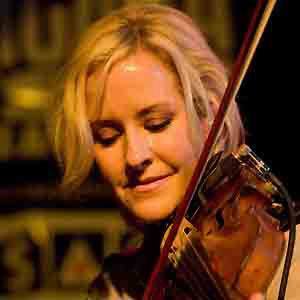 She won national fiddle competitions as a teenager and joined The Dixie Chicks in 1989. The Dixie Chicks' album, Wide Open Spaces, sold over twelve million copies and was certified as a Diamond album. She has an older sister named Julia and a younger sister named Emily. She and banjo player-singer Emily Robinson are both members of The Dixie Chicks.